Great colors. Love the coverage. Love all the colors for spring and summer in this group. Great coverage. Thick but not too thick. Very happy with my purchase. Will be buying more. 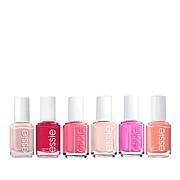 These are great, love the colors and how nice they are at keeping my nails from chipping or breaking. They go on nice and smooth with no problem. I highly recommend them. 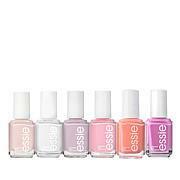 These nail polishes are so easy to use and they protect my nails. 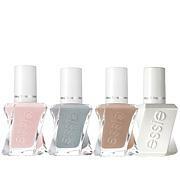 Make sure you buy the TLC ESSIE NAIL CARE. I have used two of the set so far on both my hands and feet. Beautiful colors and really helps with growing my nails. I have no trouble with chipping at all. Lasted alll week. 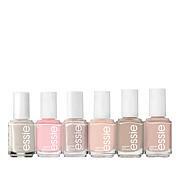 Thank you HSN for providing sets of polish! One of the best, if not the best, product I have ever used to have healthy nails and beautiful color in the process. Very happy with my purchase.